A truly magical day. A gathering of a Tsunami of Energy. We also have the wonderful energy of Spirit vs. Matter and Heaven vs. Earth. The Energy of Now is Gathering and Ready. A time to rescue your future. A time to close your eyes and call in your future. A time to look at your real practical Now. A time to look at yourself when you are living in a bottomless pit. A time when you are feeling incomplete and no one has your back. A time when you know you have no support and no honouring. A time when you are feeling discounted from your Holy Self and you are connected to your wounded sad suffering self. A time of pain, shame and confusion. A time to deal with your stuck energy. A time of to call in your miracles. A time to say ‘hi’ to your life. A time of changing moments. A time of new beginnings again. A time to do something that makes you remarkable. A time to have a breath-taking tomorrow. A time to promise yourself to be practical and take simple steps to achieve the outcome your desire. A time to commit to complete things. A time to commit to yourself to be practically happy. A time to order your life and all forth the life you want. A time to look a the vision you have and to sustain it and make it happen. A time to make things happen. A time to carry out better new habits that support your new vision of yourself. A time to put things in order. A time to take responsibility for your life and where you want to get to and what you want to do. A time to walk your journey – not another person’s journey. A time to have faith in yourself and your goals. A time to tap into your conviction to seed a new conviction that empowers you. A time to pay attention to yourself. A time to believe that something wonderful is about to happen with the New Moon in Virgo energy. A new time to root your new living. A time to root yourself with strength and practical action. A time to walk on the green grass and ground your energy. A time to stand strong and feel yourself deeply rooted and secure and safe. A time to love physical self. A time to honour the Inner You. A time to take action. Time to discover a new part of you. A time to look at your business in a new way. Time to dream big and visualise and create a vision board of your big idea. Time to invite in and allow new major beginnings and note your wonderful completions that enable you to invite in new feeling of achievement and peace. A time to honour the allegiance of those who have come before you. A time to remember you are great. A time to be alive and well. A time to be easy with yourself. A time of rooting yourself to a profound structure of power and create a great secure bottom. A time for insightful teaching with Toks Coker. A time to move to your Divine Self. New Moon in Virgo is a time to look at your money and your attitude to money. It is a time to reflect on how you would like your bank account to be and plan towards it. Is money your friend or not? It is a time to call in what you are wanting practically, to happen in your life, with reference to money. Talk with Money How do you talk to money in your life and in other people’s life? Is your conversation negative, disempowering, positive or empowering? Do you feel that lack of money makes you feel like a slave to those with money? Do you feel you should be given money as a right, whether or not, you work for it? What is your conversation with money like? Money Behaviour Do you treat people with contempt because you have more money than them? Are you making profit or loosing money? Are you always exhausted chasing money and getting nowhere? Are you working real hard and feeling stuck and feeling like a slave to money? Are you feeling overworked, overwhelmed and burnout in your thinking about money? Are you drinking or eating too much because you are feeling anxious? Are you indulging in things that do not serve you and that you should not because you are feeling depressed caused by your relationship with money? Are you lonely and suffering from mental disorder with your attitude with money? Practical Money Actions A time to do some practical things you have been procrastinating on. A time to attend to details in your life – pay your bills, apply for that job and attend to your health properly. 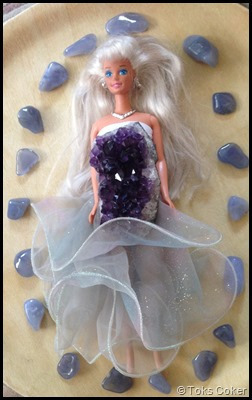 Healing Money Do you know that money has an emotional, energetic, physical, mental and spiritual energy? Do you know that this needs healing in everyone? Your emotional, energetic, physical, mental and spiritual energetic relationship with money needs to be healed if you are feeling any of the above negative symptoms. If you are then book an energy clearing package with me to help you clean your money blockages. You do not need to do this alone. The New Moon is always a good time to listen to the Whispers of your Soul, especially, if you are too busy to do so on a daily basis. Many of us are too busy to listen – we have one appointment after another, one job to do after this one, one meal to cook after this one, etc. etc. etc. That is why it is a good thing to set aside time for yourself to sit and be still and to listen and connect to the inner Whispers of your Soul. Create the space for you to connect to your Holy Self. Take a moment to be with the parts you need to feel and open to love. This is a time to call forth your Soul Longings. A time to connect to your Power. This is a time of New Beginnings that may make you feel insecure, unsure and uncomfortable. As you process this uncertain newness and this desire for something new in your life, you may or may not know what you are wanting. This is the time you may feel chaos in your mind – an unsettling feeling, an uncertainty that makes you feel unsteady and unable to process feelings and thinking. New Moon in Virgo brings in stability, groundedness, certainty and safety. It brings in structure, analysis and constructive practical action. It brings you to a point of knowing. As you Awaken to a New Newness within you of what you are seeking and you are wanting, you may suddenly feel uncertain. Go through the feeling of uncertainty as you decipher what you know and do not know specifically. Go through this chaos of your mind as you are deciding. Go through the self-doubt as you compare yourself to others and feel inadequate, unworthy and / or a failure. Alchemical Change This Uncertain Newness is the Process of Change. I call this your ALCHEMICAL RESURRECTION, the Alchemical Resurrection of Your True Self. A time for an energetic match of mind and body. A time for new opportunities. A time to focus on your personal life. A time to feel awesome about yourself. Surrender In the Process of Change it is a crucial time to surrender to the Universal Law of Life and to the Unknown. A time to line up with the Universal flow of life. A time to do something new and different and surrender to the Universal Law of Life and to the Unknown. It is a time to surrender to the Magnificence of your Life. It is a time to let go and let God / Great Spirit / Universal Law / Universal Flow in. Seeding When you have surrendered and let go of the old stagnant energy (seeded your fears), it is a good time to Seed Newness. It is the time of a New Moon when you seed your wanting. It is also a great time to seed your fears and watch them break down and transform into alchemical courage and confidence. Mother Earth knows how to do this better than us. Seeding is especially potent with the Eclipse, which hides and then reveals; and; which transforms and then enlightens. Stretching New Moon in Virgo is truly a great time to go within and really reflect on what you are wanting to reveal, that expresses and demonstrates in a practical way your True Self. Your Internal Tension is the drive within you – it is not your comfort zone – it is the part that drives you forward – it is what stretches you to what you are wanting with resilience, determination, effectiveness, motivation, efficiency and growth. Clarity New Moon in Virgo asks you to be clear about what you are wanting to seed and to do it, irrespective of your uncertainty, confusion, resistance, doubts or fears. It says this is a time to write down specific things you are wanting and desiring and know deep within you that you want it. That is all that is required of you at this time. Then get ready to take action. Sometimes in the taking of action is the knowing of whether or not you are wanting something. A time to deal with feeling eclipsed and then illuminated. A time to take a challenge and manger your negative self-talk. A time to shed old habits so you are free to carry out better new habits that support your new vision of yourself. A time to put things in order that you should have done and you have not. A time to deal with your negative feelings and anything that causes you despair, and or depression. A time to look at your over critical, over judgemental, over puritanical and over analytical mind. A time to know that the negative mind can make you feel lazy, slow and cause procrastination, making you lethargic and lacking in constructive action. A time to get up and do something with your life when you may feel uncertain, unwilling and unable to do anything. A time to acknowledge feeling stuck, stagnant and isolated. A time when you spend time scrutinising others,and keeping scores to make yourself right; is the time you know you have to change. A time to know that Virgo is a practical sign that can keep itself stuck as it faces challenges. A time when you may be unwilling to face your challenges and not know how to say ‘yes’ or ‘no’, nor be clear about your boundaries and what you want and do not want in your life. A time when Virgo can focus on flaws and inadequacies in yourself and others. A time when the energy of Virgo can stop you stirring your Soul and a time you know that you do not make giving up an option for yourself. A time to take action. A time to know what wounding are you feeling today? A time to remove the weeds from your life. A time to have faith in yourself in the realisation of your goals. A time to honour your physical body in a sacred and in a simple way. A time to deal with life when life is compressing you. A time to look at your real practical Now. A time to look at yourself when you are living in a bottomless pit. A time when you are feeling incomplete and no one has your back. A time when you know you have no support and no honouring. A time when you are feeling discounted from your Holy Self and you are connected to your wounded sad suffering self. A time of pain, shame and confusion. A time to deal with your stuck energy. During the New Moon in Virgo meditation we will converses with our body and our cells. There is a lot happing energetically in September. How have you been celebrating and flowing in your life? How did you spend the Ethiopian New Year? How will you spend the Jewish New Year? How will you celebrate for 9 days the Hindu God Manifestation of Durga? Where will you be on the day of the two eclipses this month? What will you be doing on the Day of Peace and the Friendship Day for Women? How will you welcome in the Autumn Equinox? Really make September a wonderful month for yourself and loved ones. Plan wonderful things to do. 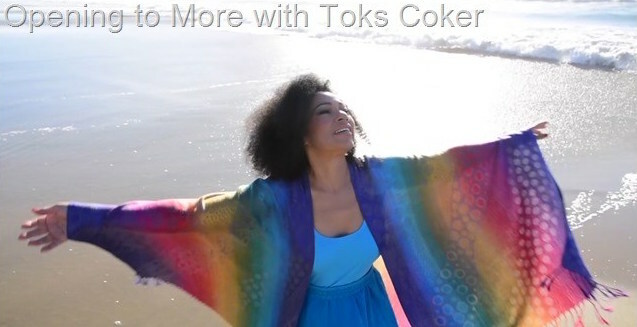 Come to a Gathering with Toks or book a session with her. Seeding my eBook with this New Moon in Virgo and Solar Eclipse. The eBook has a lot of positive stuff in it like: over 40 affirmations for each chakra, pictures of powerful crystals you can work with – so you do not need to have a crystal in your hand to work with the exercises and interactive space for you to record your experience so you can always save it with the last date you put your input in. You can also copy your written journal from this document into a word document and print then out if you want. It really is an eBook for all times. As you save your work in the eBook and date it you can always go back to see what your experiences were at a particular time and track your wonderful progress. A truly remarkable life eBook. A practical one too. Let us spring into Newness with all this wonderful energy coming through. See yourself galloping through all the energy and supported by the wonderful energy of life. Feel the cosmic vibrations surround you. We are sharing the work of Hafez, the Persian Iranian poet and mystic. Here are some poems by Hafez that capture the energy of the New Moon in Virgo. Work: Find A Better Job Now that all your worry has proved such an unlucrative business, Why not find a better job? Happiness Ever since happiness heard your name, it has been running through the streets trying to find you. Pleasure: There is no pleasure without a tincture of bitterness. Words: Why Not Be Polite Everyone is God speaking. Why not be polite and Listen to Him? Words: Glad Stay close to any sounds that make you glad you are alive. House What we speak becomes the house we live in. Light: Your Astonishing Light I wish I could show you when you are lonely or in the darkness, the astonishing light of your Being. Love and Time Even, after all this time, the Sun never says to the Earth, You owe me. Look what happens with a love like that. It lights up the whole sky. Love Love sometimes want to do us a great favour: holds us upside down and shake all the nonsense out. House: Living Better Conditions Fear is the cheapest room in the house. I would like to see you living in better conditions. Life We have come into this exquisite world to experience ever and ever more deeply our divine courage, freedom and light. A time to read the ‘Power of Now’ by Eckhart Tolle or listen to the audio. A time to say ‘I write best sellers.’ A time to say ‘I read best sellers’. A time to rescue your future. A time to educate yourself. A time to read books. A time to set aside learning for yourself. A time to be inspired deeply. A time to be reflective. Enjoy the following quotes from Eckhart’s book The Power of Now. Inner Vs. Outer Your outer journey may contain a million steps; your inner journey only has one: the step you are taking right now. Inside Vs. Outside If you get the inside right, the outside will fall into place. Primary reality is within; secondary reality without. Caterpillar Vs. Butterfly What a caterpillar calls the end of the world we call a butterfly. Now Realize deeply that the present moment is all you have. Make the NOW the primary focus of your life. Surrender to Now Watch any plant or animal and let it teach you acceptance of what is, surrender to the Now. Challenges The best indicator of your level of consciousness is how you deal with life’s challenges when they come. Through those challenges, an already unconscious person tends to become more deeply unconscious, and a conscious person more intensely conscious. You can use a challenge to awaken you, or you can allow it to pull you into even deeper sleep. The dream of ordinary unconsciousness then turns into a nightmare. Action Any action is often better than no action, especially if you have been stuck in an unhappy situation for a long time. If it is a mistake, at least you learn something, in which case it’s no longer a mistake. If you remain stuck, you learn nothing. Complaining See if you can catch yourself complaining, in either speech or thought, about a situation you find yourself in, what other people do or say, your surroundings, your life situation, even the weather. To complain is always non-acceptance of what is. It invariably carries an unconscious negative charge. When you complain, you make yourself into a victim. When you speak out, you are in your power. So change the situation by taking action or by speaking out if necessary or possible; leave the situation or accept it. All else is madness. Write what you want for yourself. Make is positive. Create a Visualisation Board of what you want. This is a time to create a Visualisation Board for your career, your relationship, your self. Take Practical Constructive Action. What are you going to do to make it happen? This is a time for practical action. A time to be practical. What is your Attitude to money and working for money? Read the above notes and write your answers in your journal. What three actions are you going to take to improve your relationship with money? What Legacy do you want to leave behind you? Make it happen. Say to yourself: Winners never Quit. Quitters never Win.